Learning about liquids & solids!! Hood County's Resolution for Autism Awareness!!! Thank you Judge Cockerham, and Hood County Commissioner's for your support of Autism Awareness! 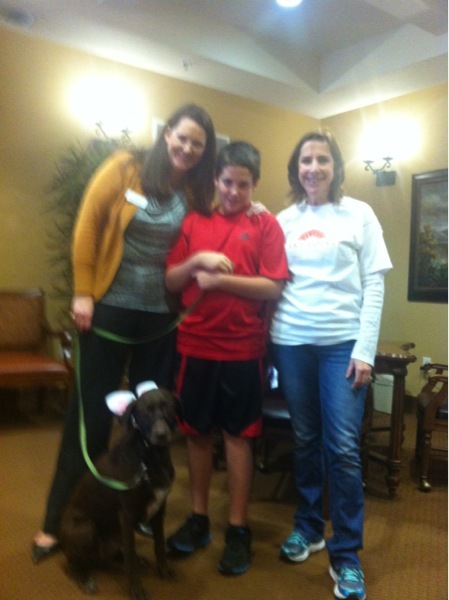 Easter pictures at The Cove at Waterview!!! Thank You, Karen Jennings!! Hood County recognizes Autism Awareness month! 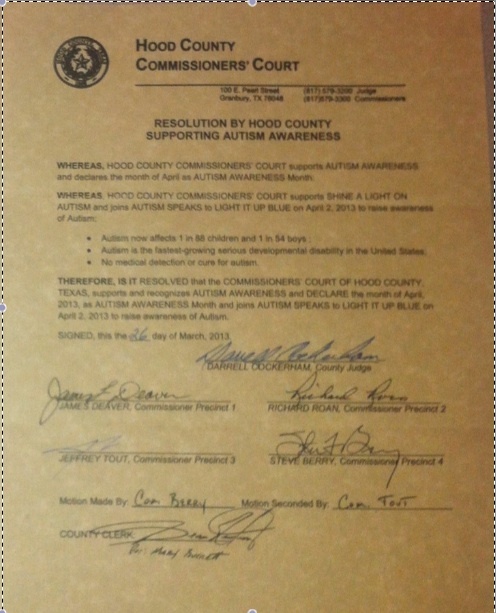 On this day, March 26, 2013, the Hood County Commissioner's Court issued a Resolution adopting April as Autism Awareness Month and joins the National organization, Autism Speaks, as World Autism Awareness and Light It Up Blue day on April 2nd! Making history!